The great Georgian composer’s twelfth ECM New Series album features first recordings of two major works: ‘Chiaroscuro’ for violin and chamber orchestra, and ‘Twilight’ for two violins and chamber orchestra, performed by Gidon Kremer and Kremerata Baltica. The renowned violinist Gidon Kremer and his players have had a long and close association with Giya Kancheli. On ‘Twilight’, the coming together of Kremer and Patricia Kopatchinskaja, two of the most powerfully expressive violinists of our era, makes for fascinating listening. The piece is a touching meditation on mortality, written at a time when Giya Kancheli was recovering from illness and seeing in the leaves and branches of poplar trees outside his window a metaphor for change and transformation. ‘Chiaroscuro’, meanwhile, borrows its title from the painting technique of the renaissance and baroque whose concern with dramatic contrasts of light and shade corresponds quite directly to the stark dynamics of the composer’s writing, vigorously conveyed by Kremerata Baltica. 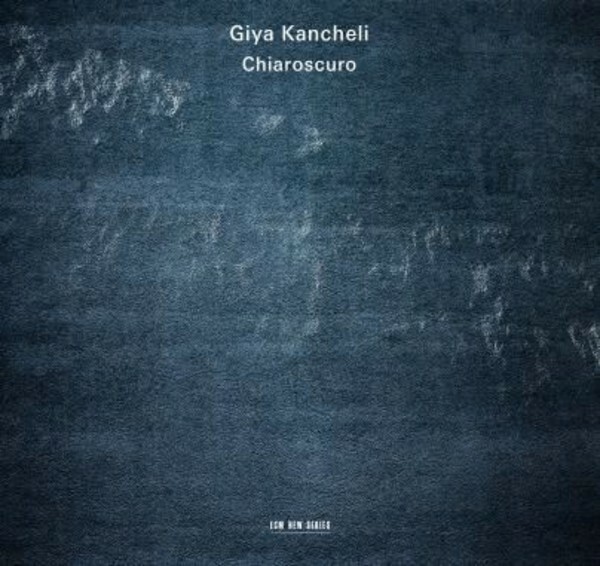 Recorded in Vilnius, Lithuania, in December 2014, and produced by Manfred Eicher, this album is an important addition to Kancheli’s ECM catalogue.